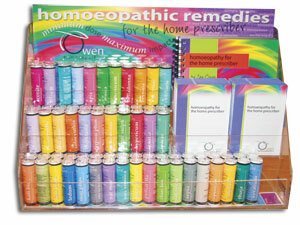 The Wellness Centre Wollongong now stocks a great range of Owen homeopathic remedies in pillule form. Single remedies, complexes and specialized kits are available for retail purchase. Homoeopathy is a great family health care system that offers you simplicity, reliability and excellent results. Home Prescribing Classes are available on DVD or CD from the Wellness Centre Wollongong as well, These recorded classes cover the 40 remedies in the range, information on how homoeopathy works, potency and dose and general home prescribing tips. The handy little book Homoeopathy for the Home Prescriber gives you instant access to a wealth of information about commonly-used remedies, symptom pictures and a Materia Medica. A must-have for the home, office, and for travelling.